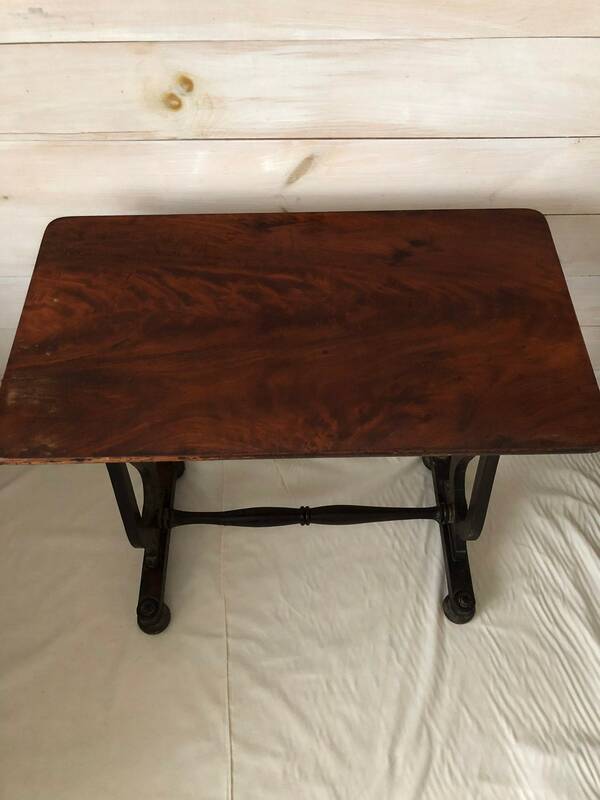 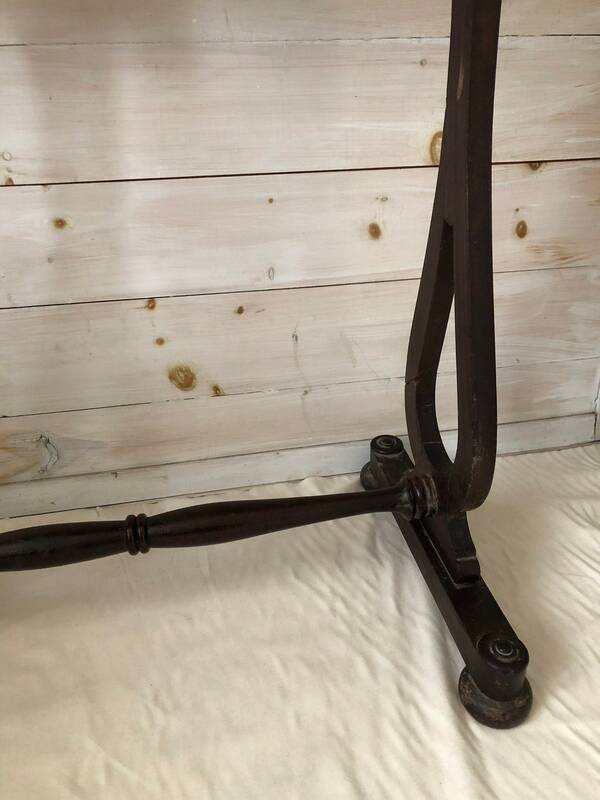 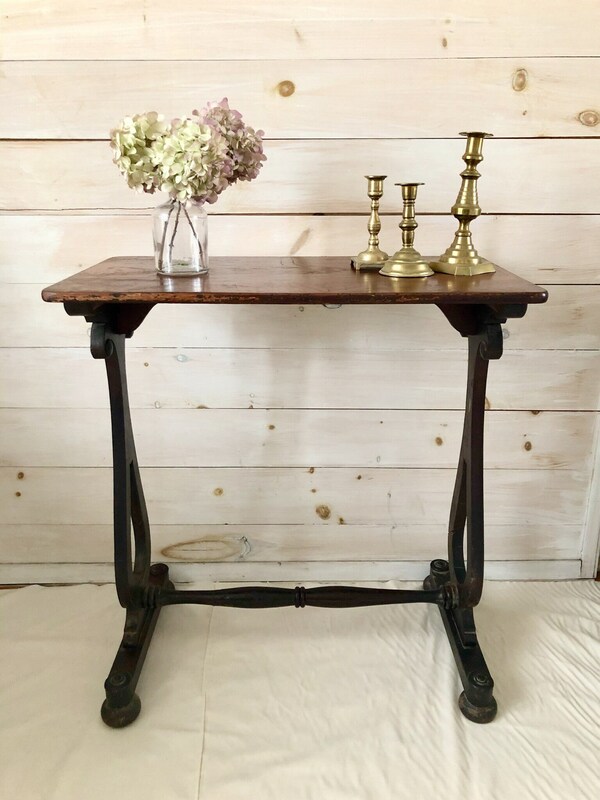 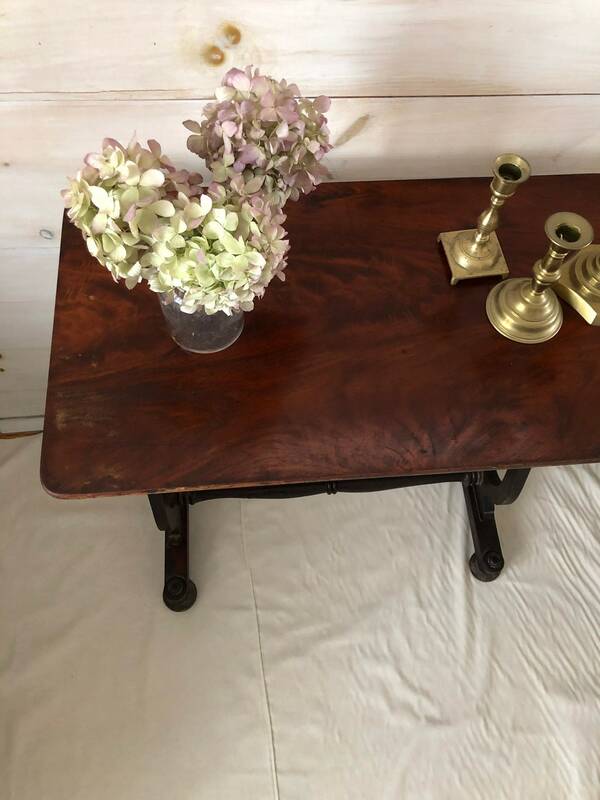 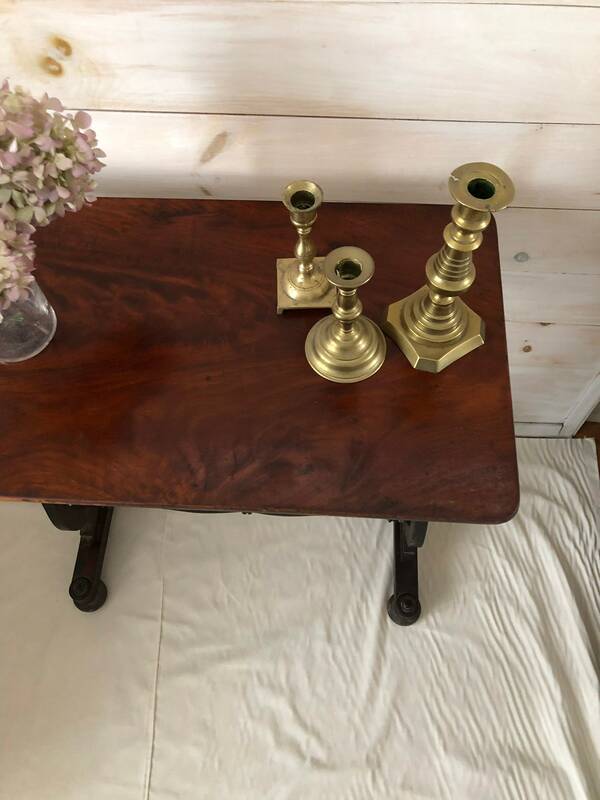 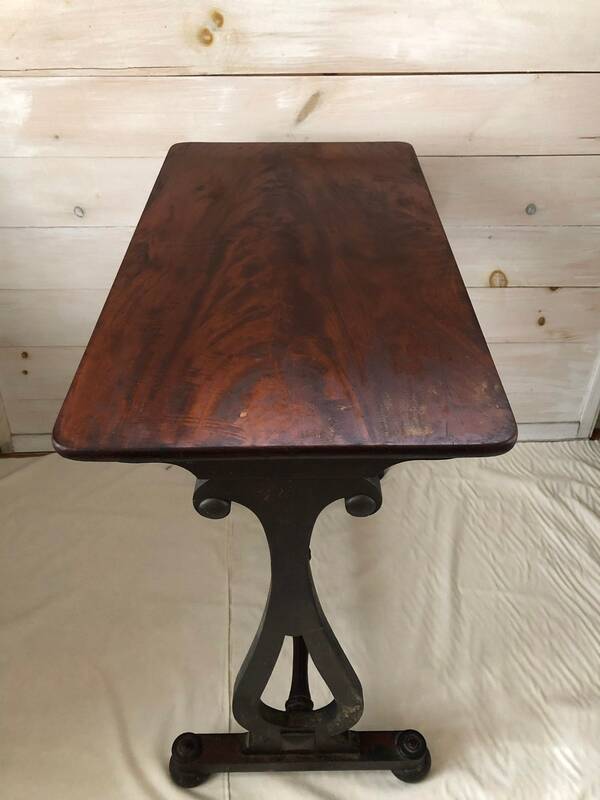 Antique side table in dark wood, has nice lines to it and a unique size. 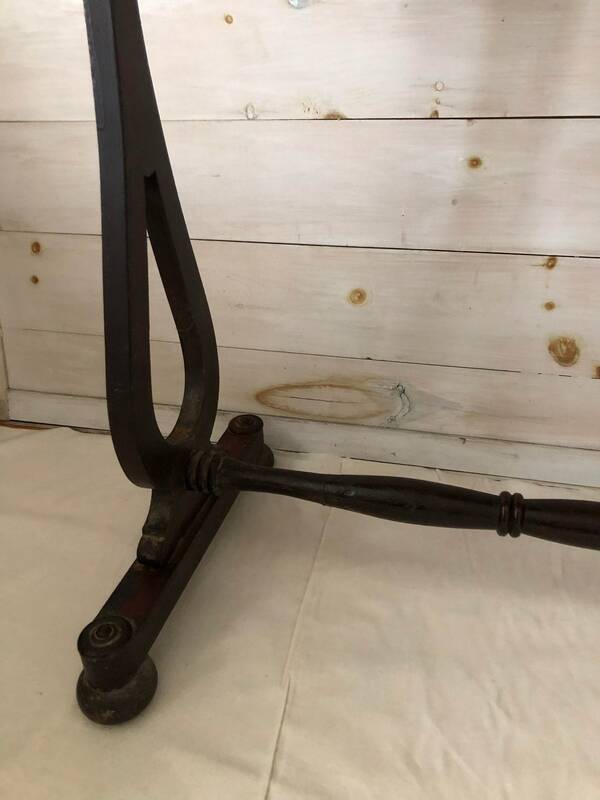 Has some wear which gives it a nice patina but in good shape. 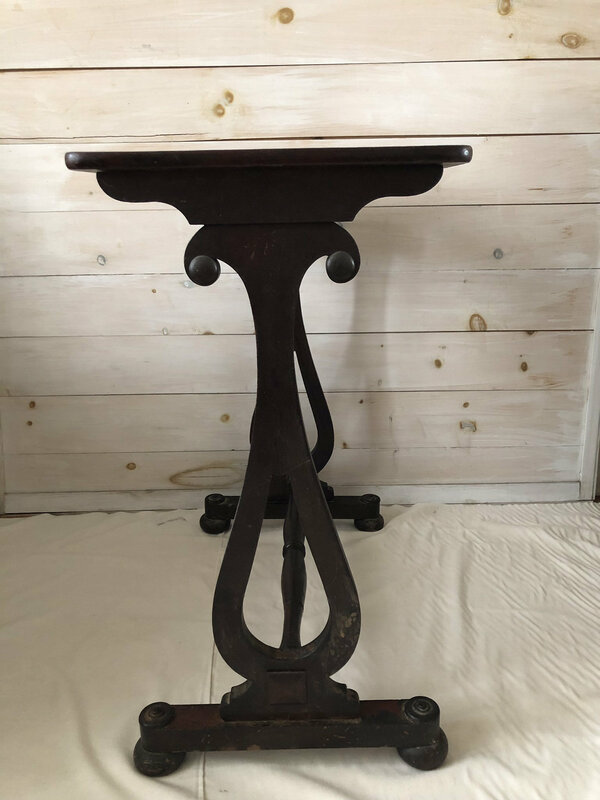 Measures 14.5 deep by 26” wide by 27.75” tall.